I love it, Marlene! What an original idea. Thank you. Maybe I am easily amused, but I laugh every time I look at it. Hexies always get my attention. What a lovely quilt you are making. And love your D9P – great idea. 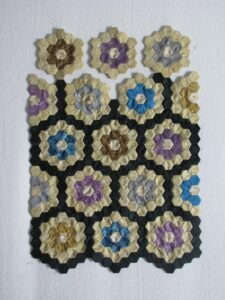 This is my first EPP hexie project, but it won’t be my last. Thank you for stopping by. The hexie project is beautiful. 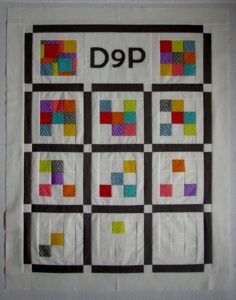 The D9P is great, love the whimsy!